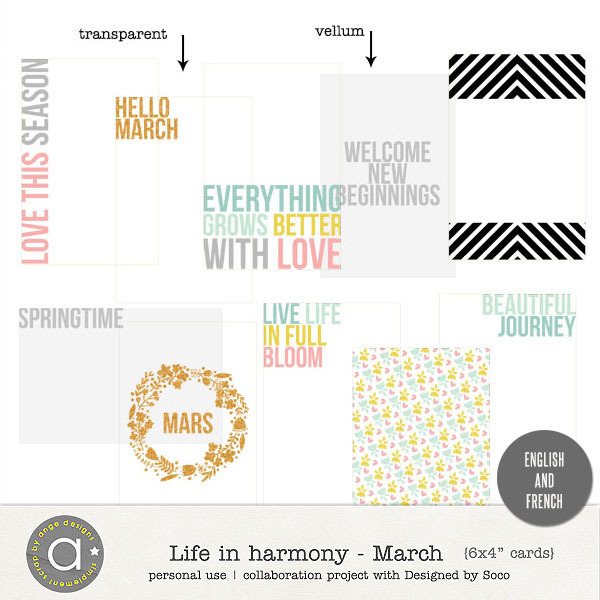 Look at these beautiful transparents, perfect for your March projects ! Very easy to clip on your photos or papers. You can also use them as cards for your project life.